B Series wall-mounted fixed louvres are suitable for a range of building types and uses.This includes commercial, industrial and community projects. 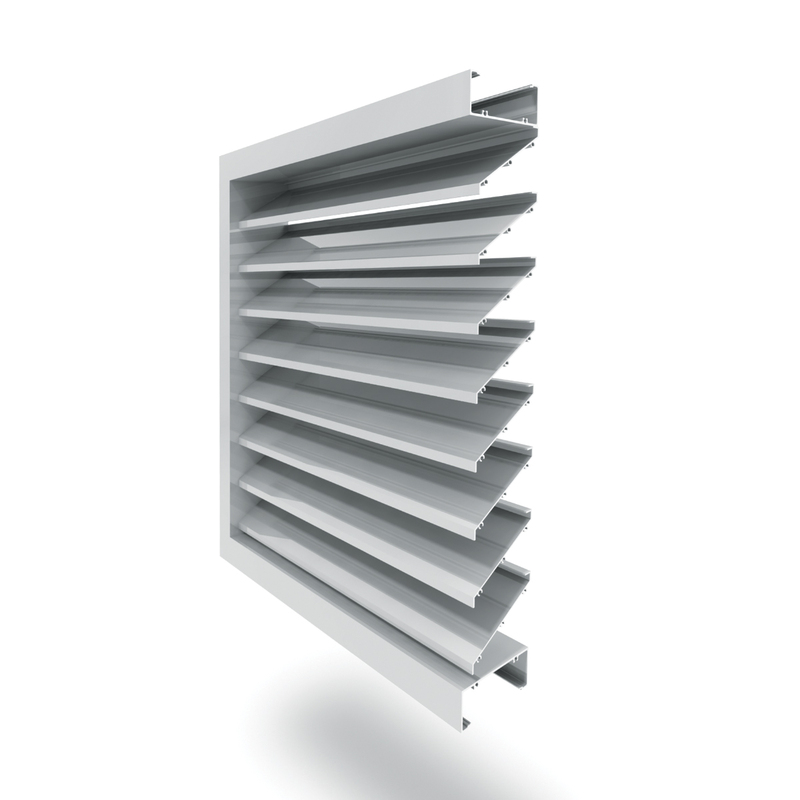 B Series wall louvres optimize the amenity of buildings, even in the most challenging environments. Airocle’s B Series provides natural air ventilation which is both effective and efficient when it comes to future energy use. Like all Airocle’s products, B Series mounted wall louvres are specifically engineered to withstand the toughest of weather conditions. The use of a natural ventilation scheme such as B Series louvres provides numerous benefits resulting in better economics for any business or facility, including lower overall energy costs. Aircole’s B Series can be shipped in varying sizes to suit the scope and nature of your project. Choose from our Colorbond®, complete powder coated, or complete anodised range of finishes. Specialised coatings are also available upon request. Maximum blade span is 1400mm, whilst the louvres provide a 64% free open area. B Series wall mounted louvres are available with a range of accessories to further heighten their performance, and suit your individual project and environmental needs. B Series Ventilators use efficient design coupled with natural science. Once installed they operate with virtually no running or maintenance costs, providing long-term operational savings for both the building and the environment.